Usually, the normal use of jaw crusher will not appear big problems, but without use for a long time, there are more or less influences on the machine performance, especially, stored under the improper condition. Therefore, it is necessary to know how to keep it. 1. Storage place: Must be stored in dry room with proper temperature. Because it contains the parts such as storage battery, they are not allowed to be placed outdoors. It's best to put a cover on the jaw crusher to prevent rusting and dusty. 2. Disassemble of the storage battery: Jaw crusher, do not use for a long term, which needs to remove storage battery. Otherwise, the electrolyte may corrode machine. In addition, even the jaw crusher not used frequently, it should be charged regularly to ensure normal operation. 3. Paint repair: It should be done according to the actual situation. For some exposed metal parts, a layer of butter is required to isolate air contacting. For some parts that paint had flecked off, need to be painted overall or partly. 4. Lubrication: It is better to take regular clean and lubrication for the machine to keep smoothness and cleanses. 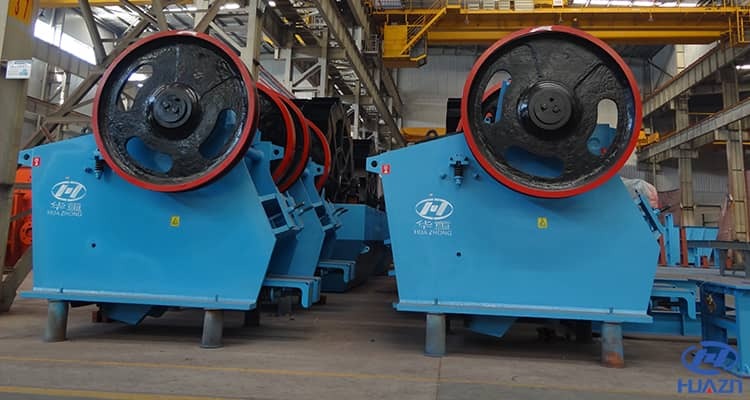 Previous Article：How to Repair the Roll Crusher?